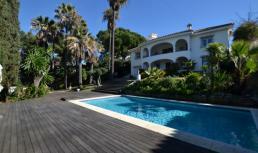 Marbella on the Costa del Sol is the famous holiday resort of the international jet-set. There are luxury hotels, internationally renowned golf courses, a yacht harbour (Puerto Banus), beautiful beaches, exclusive shops and a sparkling nightlife. 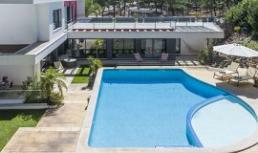 Residence Royale hs a wide selection of luxury villa rentals in Marbella, always with private pool and close to beach or golf course. As there are more than 30 golf courses in and around Marbella, there is always a golf course close to one of our villas.